This newsletter #11 comes hot in the heels of #10 to cover a couple of journals that have been released during the preparation of the last one. The Eucass classification is included as well. You'll find below first the Eucass classification with links to the proper article in the classical article list based on the different journals. Supersonic flow over paired compression wedges of different sweep installed on the pre-compression surface"
Since last newsletter, Volume 22 Issue . Gounko, Yu. P. and Mazhul, I. I.
Yatskikh, A. A. and Ermolaev, Yu. G. and Kosinov, A. D. and Semionov, N. V.
Valger, S. A. and Fedorova, N. N. and Fedorov, A. V.
Kuraev, A. A. and Semenov, A. B.
Ananyev, D. V. and Halitova, G. R. and Vachagina, E. K.
Guzei, D. V. and Minakov, A. V. and Pryazhnikov, M. I. and Dekterev, A. A.
Kaverin, A. M. and Andbaeva, V. N. and Baidakov, V. G.
Anshakov, A. S. and Urbakh, E. K. and Radko, S. I. and Urbakh, A. E. and Faleev, V. A.
Cherepanov, A. N. and Ovcharenko, V. E. and Liu, G. and Cao, L.
The toc for the issue N.8 is reported below for your convenience. Cozar, J. and Saez, F. and Ricaud, E.
Bolandi, H. and Ashtari Larki, M. and Sedighy, S. and Zeighami, M. and Esmailzadeh, M.
Gibertini, G. and Grassi, D. and Parolini, C. and Zagaglia, D. and Zanotti, A.
Liu, Y. and Zhou, J.
Khalid, M. S. U. and Akhtar, I. and Durrani, N. I.
Zardashti, R. and Nikkhah, A. and Yazdanpanah, M.
Li, B. and Lu, H. and Deng, S.
Shinkafi, A. and Lawson, C.
Cecrdle, J. and Malecek, J.
Soltani, M. and Sepahi Younsi, J. and Daliri, A.
Mirshams, M. and Taei, H. and Ghobadi, M. and Haghi, H.
Khan, O. U. and Javed Khan, M.
Chen, J. and Ma, C. and Song, D.
A few issues have been published recently. Volumes 113 and 114 are in progress, while volume 112 is out. Haapala, Amanda F. and Howell, Kathleen C. and Folta, David C.
Kozlov, V.G. and Ivanova, A.A. and Vjatkin, A.A. and Sabirov, R.R. 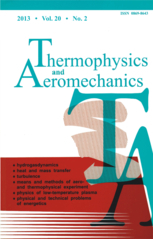 Xisto, Carlos M. and Páscoa, José C. and Oliveira, Paulo J.
Ebisuzaki, Toshikazu and Quinn, Mark N. and Wada, Satoshi and Piotrowski, Lech Wiktor and Takizawa, Yoshiyuki and Casolino, Marco and Bertaina, Mario E. and Gorodetzky, Philippe and Parizot, Etienne and Tajima, Toshiki and et al. Cao, Lu and Chen, Xiaoqian and Misra, Arun K.
Schreiner, Samuel S. and Setterfield, Timothy P. and Roberson, Daniel R. and Putbrese, Benjamin and Kotowick, Kyle and Vanegas, Morris D. and Curry, Mike and Geiger, Lynn M. and Barmore, David and Foley, Jordan J. and et al. Palerm, S. and Bonhomme, C. and Guelou, Y. and Chopinet, J.N. and Danous, P.
A few of our Onera readers are pointing out the last number (12/2014) of their AerospaceLab Journal. This is an electronic open access journal where the editorial board aims to keep an high publication standard. This number is focused on Aerial Robotics. With all the news regarding drones and UAVs, this number is still actual and interesting. Accelerometers On Quadrotors: What Do They Really Measure?